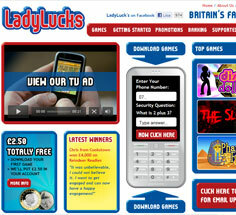 LadyLucks is a dedicated mobile casino, and is one of the largest and most complete UK mobile casinos in existence. The site offers mobile gaming services above and beyond what many other sites provide, including mobile poker and mobile bingo games, plus great mobile casino bonuses and a special VIP area filled with outstanding benefits for the casino’s best players. The site has a few limitations, mainly that it doesn’t work on Windows Mobile and Blackberries and that it only accepts UK players, but overall it is a great mobile casino for those that can access it. 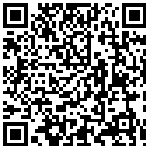 LadyLucks Mobile Casino is one of the only mobile casinos out there that runs on software developed by Probability. A smaller selection of its games is also powered by IGT Mobile software. This means that members get access to a selection of games that simply won’t be found at most competing mobile gaming sites. 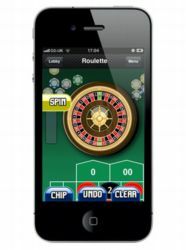 Getting set up is very easy – players just enter their mobile number on the casino’s website, and then follow a link in the SMS they receive to get to the game download page. The games run on a variety of mobile phones, including Android, Nokia, iPhone, iPad and iPod Touch. 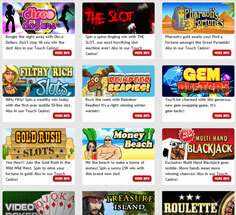 There are 17 mobile casino games ready to be played at LadyLucks Mobile Casino. Most of the games are slots, including some exclusively licensed games like Pharaoh’s Fortune slot and Disco Dollars slot. The rest of the games include video poker, multi-hand blackjack, bingo, and the incredibly popular roulette game. The quality of the games is very good – check out the LadyLucks Casino website to see video game previews. The bonus system at LadyLucks Mobile Casino is quite impressive. New players get a free £5 no deposit bonus when they download their first game, plus match deposit bonuses up to £500 on their first 3 deposits. LadyLucks also offers regular cash back offers, special big-money bingo quizzes, free mystery slot spins, and great friend referral bonuses. Player benefits get even stronger for VIP players, who can look forward to regular deposit bonuses, prize draws, and more. The one downside to LadyLucks Casino is that it sticks to the rules and doesn’t accept players from jurisdictions where mobile gambling laws are not extremely clear-cut. This means that the site only accepts players from UK, and nothing from other parts of the world. It is nonetheless an outstanding mobile casino, with a great game selection, huge bonuses, and a whole lot more.